The 7000 Series of LCR Meters is comprised of the 7400 and 7600. 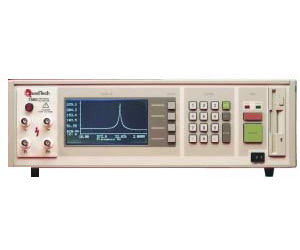 The 7400 has a frequency range from 10Hz to 500kHz. The 7600 extends the frequency range to 2MHz. Any of 14 different impedance parameters can be measured and any two parameters can be displayed simultaneously to achieve coverage and flexibility not previously available. As of October, 2008: Limited quantities still available.